After his birth, Jackson State University graduate Rodney Daniely was blessed with many supporters at the urban HBCU. The entire campus rallied to support his mother so that she could continue her academic studies after her pregnancy. Now, both are proud alums. 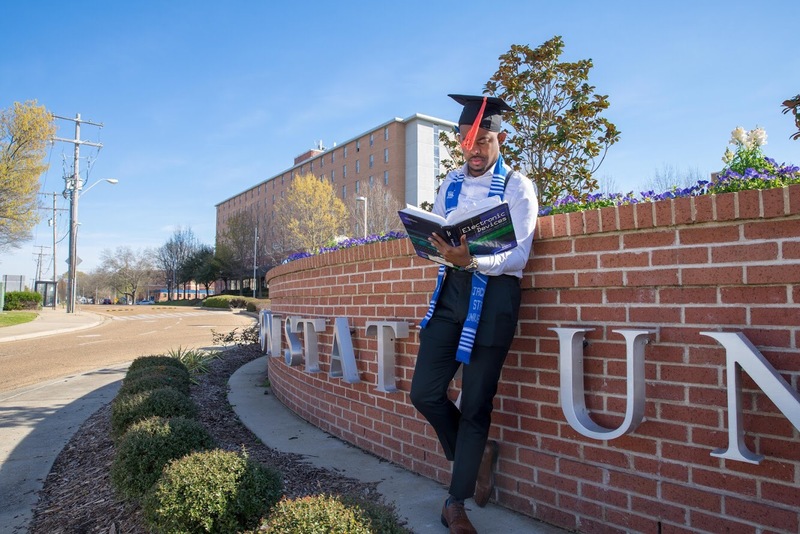 Jackson State University honors graduate Rodney Daniely was just a few months old when he attended his mother’s graduation, and now, 23 years later, she watched him receive his bachelor’s degree in electrical engineering on April 28. Although Chernita Blackmon Daniely flirted with the idea of an abortion, she quickly abandoned the thought. She and her boyfriend, Rodney J. Daniely – who shares the same name as the child except the middle initial – agreed to do whatever it would take to successfully raise the child. Later, the couple would marry. After Chernita Daniely “mustered up the strength” to tell her mom about the unplanned pregnancy, she soon discovered the power of the “village” in helping to raise her son. That’s because JSU rallied to her support. Eventually, she would begin prenatal care, visiting doctors in Mississippi and her native Atlanta. Rodney was born in 1994 and instantly became part of JSU, with supporters nurturing the newborn by feeding him and changing his diapers. “Everyone formed a circle, and the professor held me up like Simba in the ‘Lion King’ movie. The entire class blessed me.” — Rodney Daniely, recent JSU graduate, electrical engineeringBlackmon Daniely credited individuals such as recently retired associate professor/chair Dr. Mary White in the College of Business. She worked with other faculty to provide coursework ahead of time to prevent the young mother from falling behind. Staffers pitched in, too, including Joyce Jordan-Gooden – executive administrative assistant in the Office of the President – to make sure other needs were met. White remembers the quagmire faced by the new mom. “Chernita was like a lot of students facing challenges who come to us with aspirations of obtaining a degree. Even though she became pregnant, our main goal was to support her.” White said Blackmon Daniely took a brief hiatus from school but was inspired to continue her education. The young mother’s son also endeared himself to White. The urban university always has been about compassion for all students, White said. His mother shared with him that one of her professors urged Blackmon Daniely, then 22, to bring her infant son to class one day. “That’s when everyone formed a circle, and the professor held me up like Simba in the Lion King movie. The entire class blessed me,” Rodney said. Looking back at her life, Blackmon Daniely said, “At that time in school we were young and thought everything was about us. But little did we know that everything wasn’t about us.” She would later realize that she was actually preparing her son to follow in her footsteps. Blackmon Daniely described Rodney’s graduation as “déjà vu, coming full circle and surreal.” She’s happy that her determination to succeed has rubbed off on him. Over the past months, the honors student in the College of Science, Engineering and Technology has been offered a number of jobs. These include aerospace at Raytheon, headquartered in Maryland, and with the U.S. Air Force on the Robins Air Force Base in Georgia. Ultimately, he settled with NAVSEA (Navy Sea Systems Command) in Virginia, where he’ll perform integration of defense systems on warships. 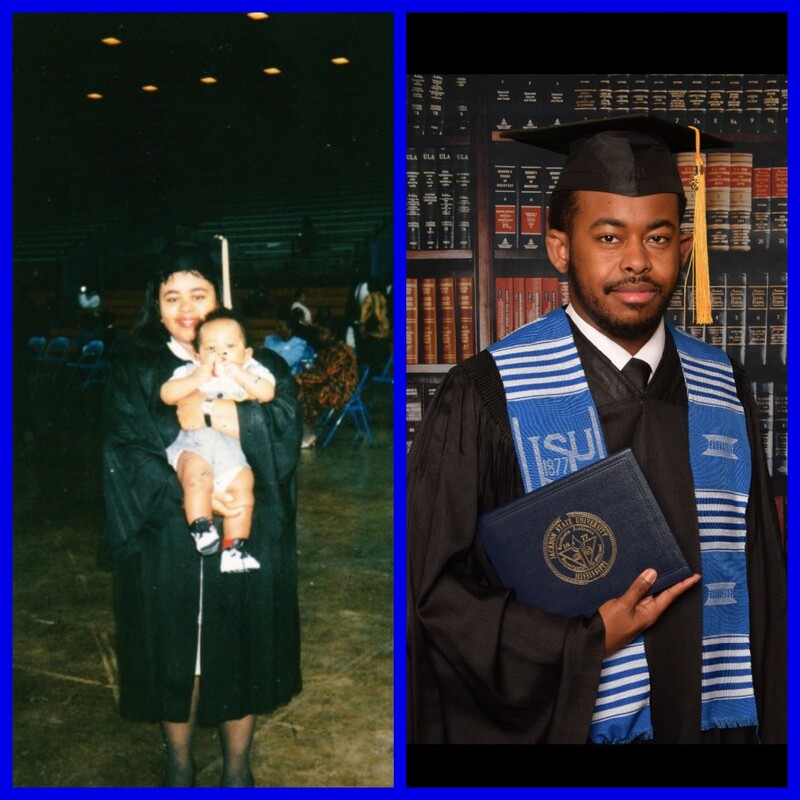 Young Rodney’s parents rooted vigorously for him and weathered the storm of uncertainty, making him a third-generation graduate on his mother’s side and the first on his dad’s side. While speaking of his father, young Rodney – choking back tears – said he’s proud of the training he received and is privileged to grow up with both parents in the household. Rodney and Chernita Blackmon Daniely are now both JSU alums. 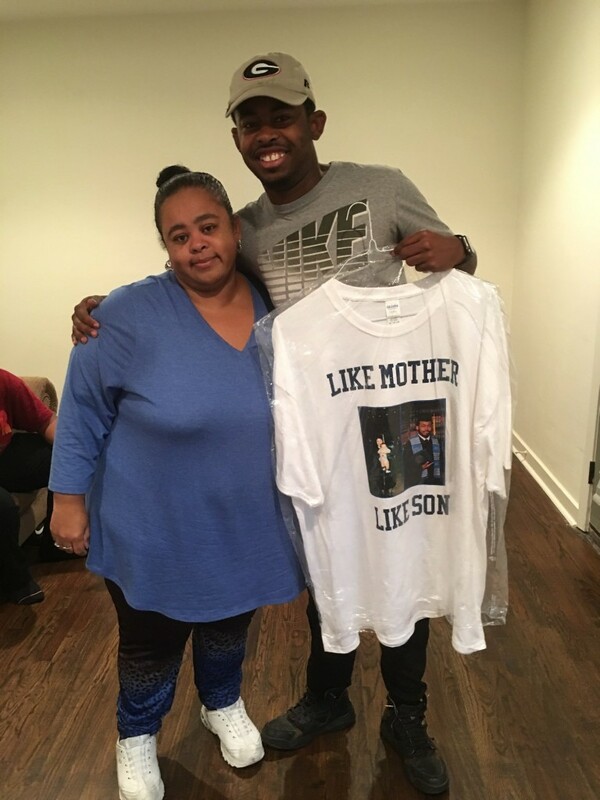 Friends and relatives gathered recently in Jackson to celebrate Rodney’s milestone and reflect on the connections that enabled him to follow in his mother’s footsteps. Despite their best efforts, there were still some struggles. However, Blackmon Daniely credits a “village” for helping to support her son during the early years and today. Young Rodney countered that a “nation” helped shape him because the support was so widespread. Another one of those key helpful individuals was Detroit resident Tamarie Burns, a 1995 JSU alum who had studied computer science information systems but originally wanted to become an electrical engineer like Rodney. She was his baby-sitter. Also, Burns was Blackmon Daniely’s roommate when they lived off campus. Her support was vital because she would watch little Rodney while Blackmon Daniely studied for exams and attended class or other appointments. “Chernita worked hard and didn’t let anything stop her. … Rodney was a laid-back baby,” said Burns, who cherished her role as a baby-sitter. Undeniably, Rodney is active. He has been involved in a Verizon STEM program at JSU as a mentor and tutor to minority males. He was named a Who’s Who Among Students in American Universities and Colleges in 2016 and is a member of several honor societies: Epsilon Pi Tau, Chi Epsilon Alpha and the National Society of Collegiate Scholars. As well, he’s involved in organizations such as the National Society of Black Engineers (NSBE) and the Institute of Electrical and Electronics Engineers (IEEE). “I decided I was going to be the type of father that my father wasn’t to me. I can honestly say it worked.” — Rodney J. Daniely Apart from academics, he unwinds by listening to music, writing poetry and keeping up with fashion in GQ magazine. With all that he’s accomplished, Rodney further credits JSU for giving him confidence.